As part of a three-year Business Family Research Programme made possible by a research grant from Deloitte Private (Deloitte) to SMU’s Business Families Institute (BFI), both parties launched a case study – the third in a series of four on family businesses in Southeast Asia – on 24 August 2018 in Indonesia. Titled “The Ciputra Story: A Journey in Family and Social Entrepreneurship”, the case showcases the Ciputra Group led by the Ciputra Family in Indonesia. 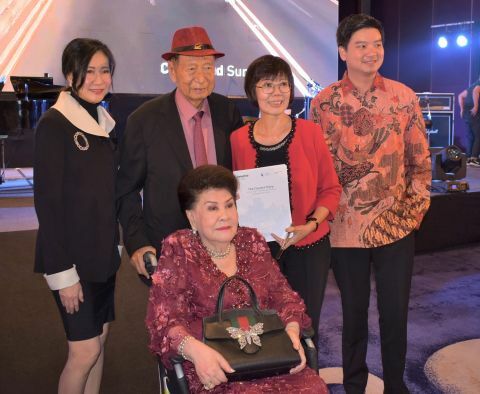 The launch event was held in Jakarta in conjunction with the 87th birthday celebration of Dr Hc. Ir. Ciputra, founder of Ciputra group, before an audience of 200 guests. Dr Ciputra began his business journey in 1961 with the founding of the Jaya Group, followed by the Metropolitan Group in 1971, and the Ciputra Group in 1981. 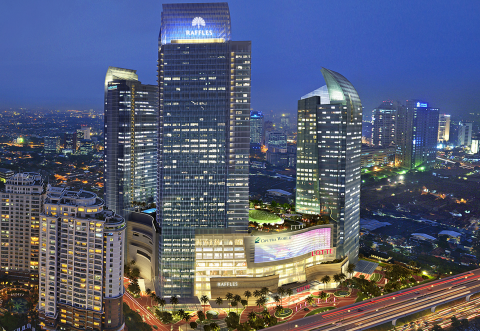 Today, more than three decades later, the Ciputra Group had evolved into a conglomerate with diversified investments in multiple industries, including commercial buildings, recreational centres, healthcare facilities, life insurance; as well as in the media and telecommunication sectors. The Group has become synonymous with hotels, shopping malls and residential homes across Indonesia, Vietnam, Cambodia and China. The case study highlighted the Group’s commitment to social entrepreneurship and philanthropy work, which is done through the Ciputra Foundation founded in 1986. Taking a holistic approach, the Group focuses on five areas of giving, namely formal education, the arts, sports, healthcare and entrepreneurship. In particular, the Foundation contributes to four universities across the country with the strong belief that education is a pathway through which the lives of Indonesians can be improved. The Group also provides value-for-money health services to the local community. It currently manages three hospitals across the country and aims to upsize its healthcare network to 10 facilities within the next five years. With a vision to leverage entrepreneurship in order to make a positive impact on the future of Indonesia, the Group also organises entrepreneurship training, seminars, conferences and workshops through the Ciputra Foundation. In fact, to-date, the Ciputra Entrepreneurship Centre (CEC) has trained over 10,000 people and Ciputra Entrepreneurship Online has trained over 120,000 people through a variety of programmes. Furthermore, the CEC runs a free training programme aimed at enhancing entrepreneurial skills of female migrant workers currently living overseas so as to facilitate their return to Indonesia with the right skillsets to initiate their own businesses. Both Mr Yuan and Professor Koh expressed their delight to be able to launch the case study on the special occasion of Mr Ciputra’s birthday celebration. The two other cases which have been developed under the Business Family Research Programme were ‘Paving the Way for a New Generation’ launched in November 2016 and ‘Scaling up Excellence’ in May 2017, which discussed the family journeys of Myanmar’s KBZ Group and Singapore’s YCH Group respectively. The Institute, which recently celebrated its fifth anniversary, is currently developing the fourth case on a business family from Thailand, which it plans to launch by the first quarter of 2019. Please contact the SMU Business Families Institute if you are interest to find out more about the case study 'The Ciputra Story: A Journey in Family and Social Entrepreneurship'. Last updated on 14 Sep 2018. Last updated on 17 Sep 2018 .